the house salon, means so many different things..when we first saw the space our eyes went directly to the volume of the ceilings, the openness like nothing we had ever seen in a salon, the natural light that radiates from both sides is truly spectacular. it is all brought together by a fireplace smack dab in the center of it all...you can immediately feel the warmth. 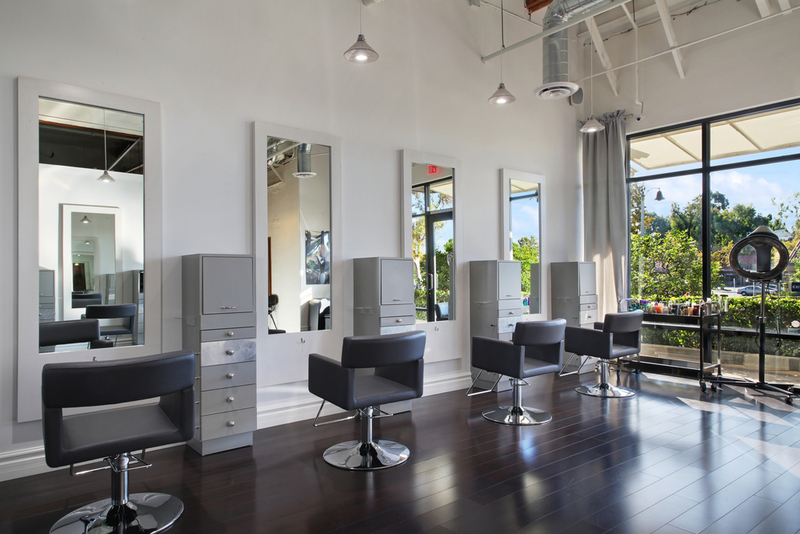 our salon has evolved into a chic and modern space while maintaining an opportunity to come together in what we now have warmly named the "family room". the house salon is a community of incredible stylists, passion seekers, light bringers, magic makers, goal setters and getters. we love seeing the house bring people together. they sit down grab an apple and share their goals and dreams with one another. the house is a family, a group of passionate stylists, colorists, hair artists all with major talent. we bounced off countless names for this salon but couldn't envision anything else...it's not just #thehouse it's a home.